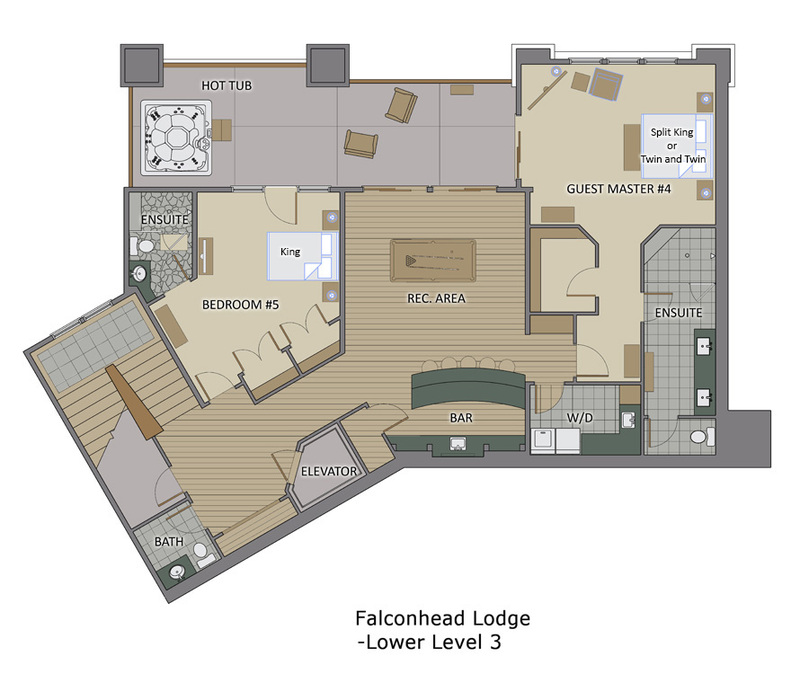 Falconhead Lodge - North is perched above the Yampa Valley with spectacular views. It is ideal for multi-generational family gatherings featuring two kitchens, two living rooms and a sports bar complete with pool table and flat screen TV. The large kitchen island invites camaraderie and a covered recessed balcony extends the living area into the great outdoors with a view of the slopes, gondola, and base area. There is seating for 12 at the main dining room table and room to seat 5 more at the kitchen island. 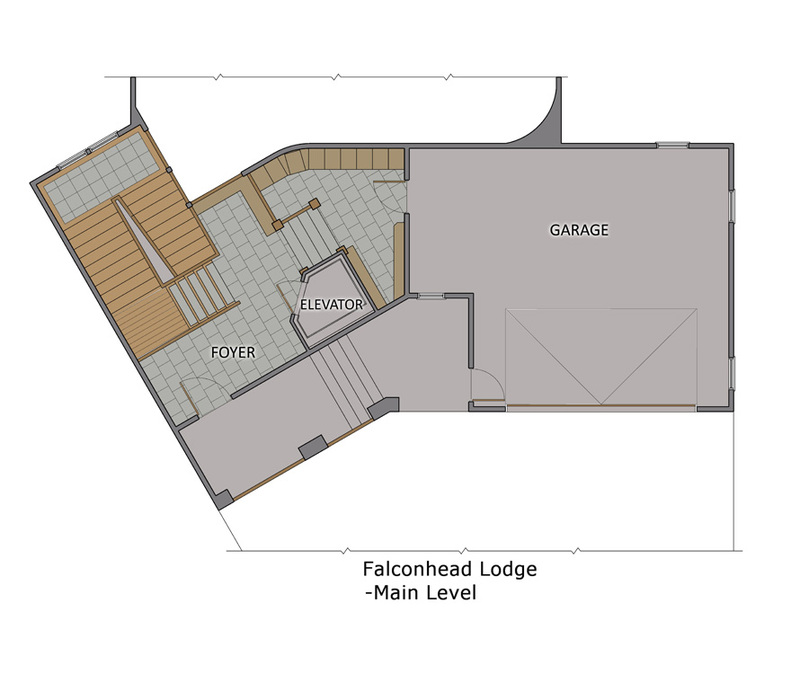 Downstairs on the mid-level there is an additional kitchen, dining, and living area. The upper and lower level kitchens feature professional appliances including full size dishwashers. Luxury and awe await your every turn. Go with a big group and have plenty of space for everyone. The rooms seem quite sound proof, too - I didn't hear ANY Snoop after I went to bed! And you have so much available room to get away from that drunk guy who won't stop talking about that time he partied with Vanna White. This place was immaculate and impressive. My own home seems like a south Indian slum, now. Terrific for a guys retreat! 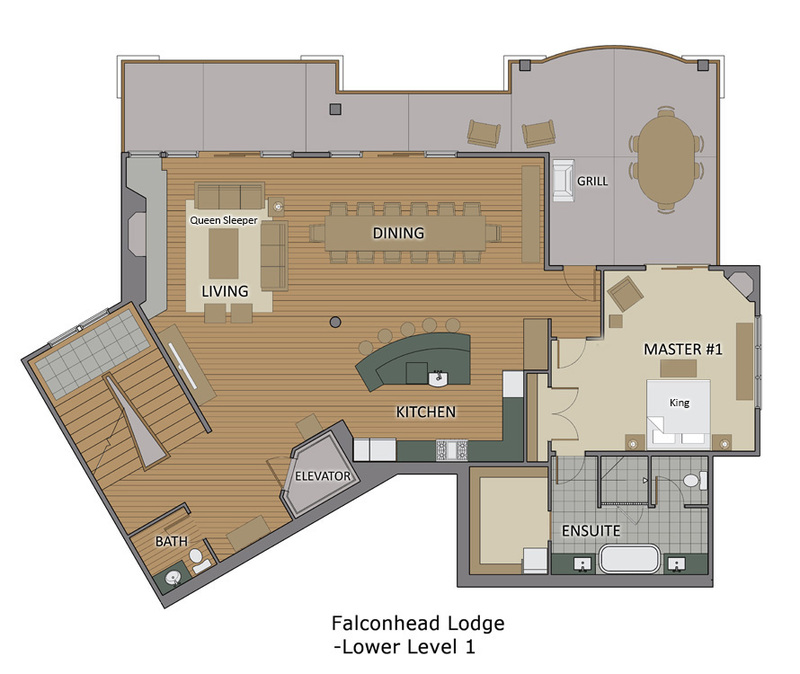 We had a retreat at Falconhead Lodge and it's just perfect. Everyone had their own bedroom, tons of space to spread out, etc. Moving Mountains shuttled us everywhere - to the slopes, dinner, etc. The elevator in the unit is perfect because it is multiple floors. Outstanding property. The gang at Moving Mountains is five star! Moving Mountains and our property were fabulous! 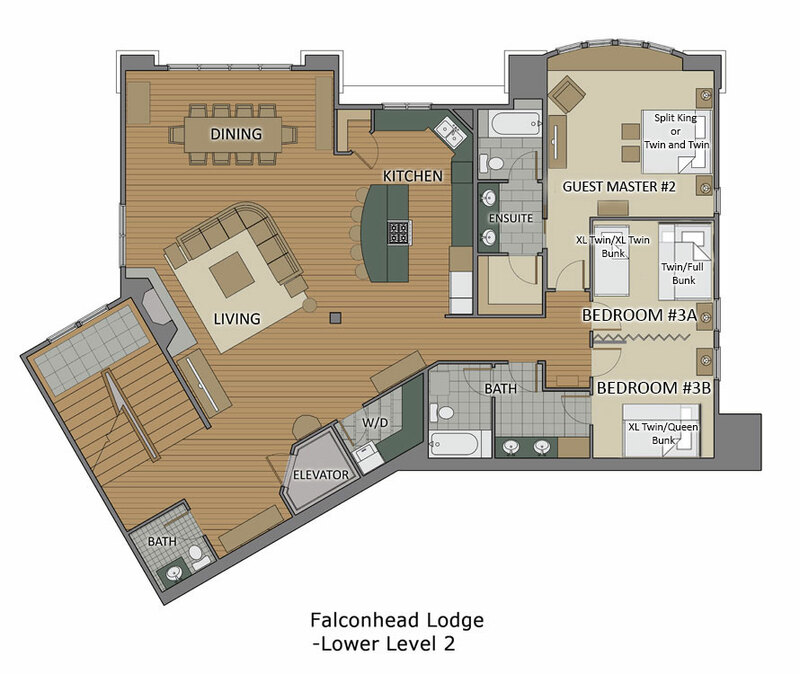 Falconhead Lodge was perfect for our three families of four each. There was a master suite for each set of parents and plenty of sleeping space for the children. The Moving Mountains staff were wonderful. They took us where we needed to be, attended to our every need, and the food was incredible. We would highly recommend!